Tibet travel is full of stunning mountain landscapes and fascinating cultural experiences. Travelling here can be different than other popular destinations, making adequate preparation important. Tibet travel writer Tony shares new tips and facts to help visitors prepare for a Tibet tour. Tibet travel is worldwide famous for outdoor adventure and unique cultural experiences. Many travelers agree that travelling in Tibet can require special preparation given how it differs from other popular travel destinations. Tony from Lhasa based Tibet travel agency Tibet Travel Expert Service-TTES (https://www.tibettravelexpert.com) shares new tips and facts for helping visitors prepare for their trip. Be ready for a big change in elevation! With an average elevation of 4,900 meters Tibet is the highest region on Earth. Travelers can expect to feel some of the altitudes effects over the first couple days of their tour; usually this does not interfere with normal activities. Drinking lots of water and avoiding intense physical activity is the best way to adapt. Weather on a Tibet tour varies depending on location, time of year, and time of day. Layering clothes is the best way to go in higher altitude areas, especially while trekking. A warm sunny day can quickly turn to rain or snow then plummet to below freezing at night. Even travelers on an easy paced sightseeing tour need to be prepared for less than perfect weather. Using money on a tour of Tibet can be different than what most travelers expect. As a rule of thumb don’t expect to use credit cards, however some banks can process cash advances. Reliable ATMs are available in Lhasa and travelers are advised to withdraw cash before their tour heads to other parts of Tibet. The local currency is the Chinese Yuan (RMB); exchange services are available at a variety of locations with banks typically offering the best rates. Tibet travel permit is the necessary document for travelling in Tibet. Please keep in mind that Tibet travel permits policy and local political climate may change from time to time. The sensitive political, historical and religious events may be a major factor which infects Tibet inbound tourism. So you are welcome back to our website and check out the latest Tibet permits situation status. Thank you! Travelers agree that adequate preparation is key to getting the most out of time in Tibet. 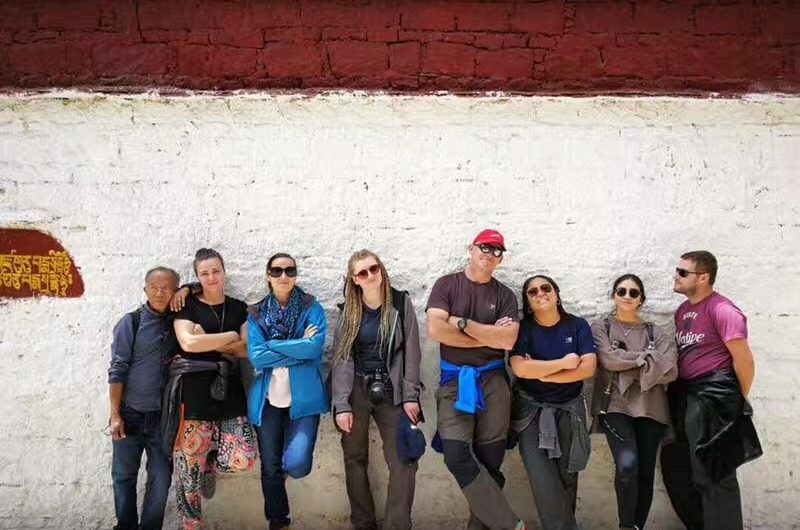 The differences between Tibet and the west can be challenging and charming at the same time; arriving prepared for these differences can turn a challenge into an exciting adventure. With the crowded Tibet travel season now coming up, it is better to plan Tibet tour now.